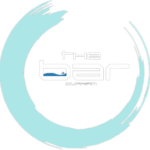 Based within the heart of Old North Durham’s Warehouse District, the bar is a hotspot for the LGBTQ community that melds a neighborhood “corner bar” feel during the week, with a popular club attitude on Friday and Saturday nights. Nestled in a building that has served as an LGBTQ home base for two decades, we’ve reinvented the space with the intention to carry on the legacy of 711 Rigsbee Avenue. the bar is a place to come with friends – to share drinks after work, watch your favorite sporting events, and enjoy darts, karaoke, or trivia. On Friday and Saturday nights vibe with our live DJs spinning the tunes you want to hear. We pride ourselves on being inclusive – this is a bar for everyone to enjoy. Most importantly, we recognize that YOU make the bar. This isn’t just the bar – it’s YOUR bar!